Zignature Grain Free Limited Ingredient Lamb Formula - 4 lbs. Zignature Grain Free Limited Ingredient Lamb Formula - 13.5 lbs. 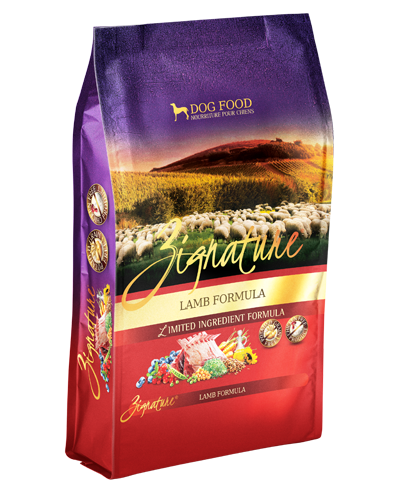 Zignature Grain Free Limited Ingredient Lamb Formula - 27 lbs. Zignature Grain Free Limited Ingredient Pork Formula - 4 lbs. Zignature Grain Free Limited Ingredient Pork Formula - 13.5 lbs. 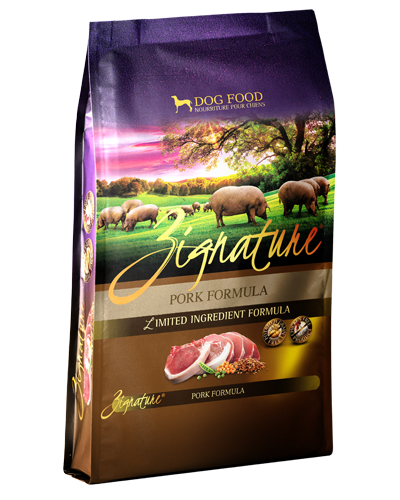 Zignature Grain Free Limited Ingredient Pork Formula - 27 lbs. Zignature Grain Free Limited Ingredient Salmon Formula - 4 lbs. Zignature Grain Free Limited Ingredient Salmon Formula - 13.5 lbs. Zignature Grain Free Limited Ingredient Salmon Formula - 27 lbs. 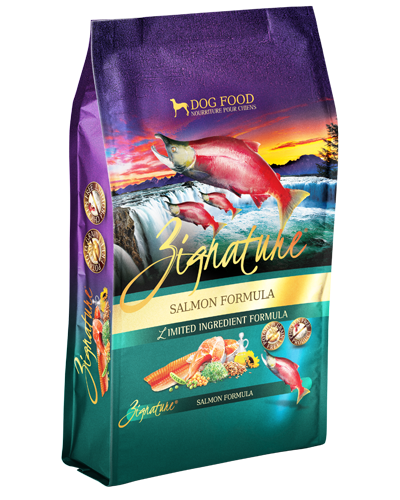 Zignature Grain Free Limited Ingredient Trout and Salmon Formula - 4 lbs. 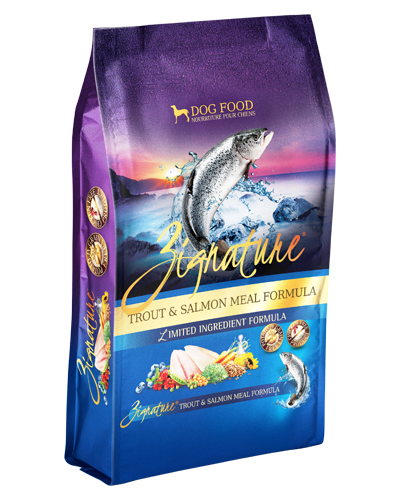 Zignature Grain Free Limited Ingredient Trout and Salmon Formula - 13.5 lbs. 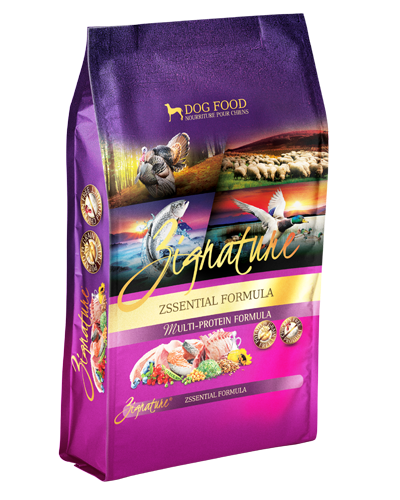 Zignature Grain Free Limited Ingredient Trout and Salmon Formula - 27 lbs. Zignature Grain Free Limited Ingredient Turkey Formula - 4 lbs. Zignature Grain Free Limited Ingredient Turkey Formula - 13.5 lbs. Zignature Grain Free Limited Ingredient Turkey Formula - 27 lbs. 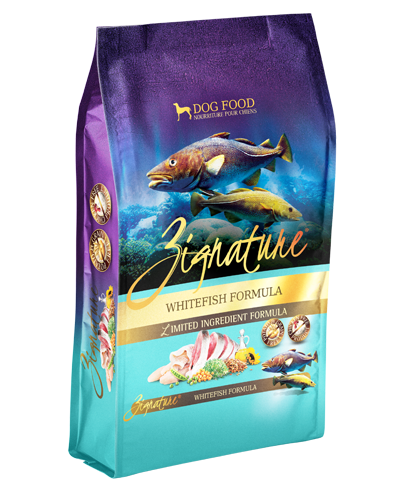 Zignature Grain Free Limited Ingredient Whitefish Formula - 27 lbs. Zignature Grain Free Limited Ingredient Zssential Multi-Protein Formula with Turkey, Lamb, Duck, and Salmon - 4 lbs. 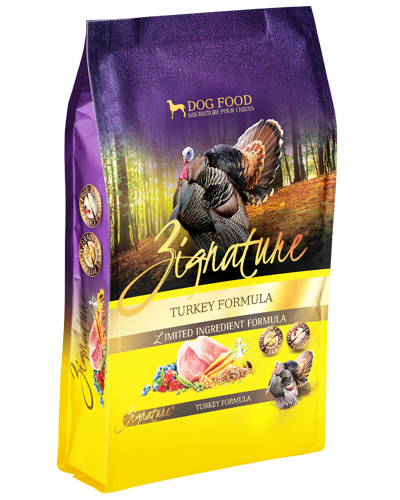 Zignature Grain Free Limited Ingredient Zssential Multi-Protein Formula with Turkey, Lamb, Duck, and Salmon - 13.5 lbs. Zignature Grain Free Limited Ingredient Zssential Multi-Protein Formula with Turkey, Lamb, Duck, and Salmon - 27 lbs. 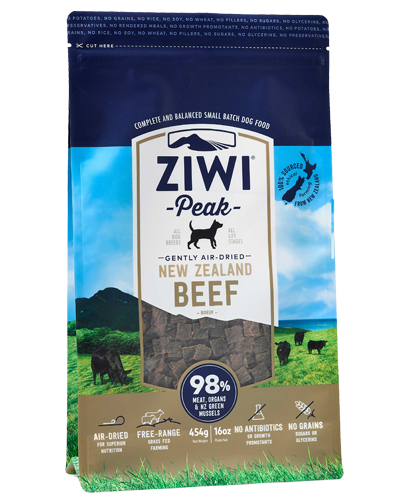 Ziwi Peak Air-Dried Grain Free New Zealand Beef Recipe - 16 oz. Ziwi Peak Air-Dried Grain Free New Zealand Lamb Recipe - 16 oz. 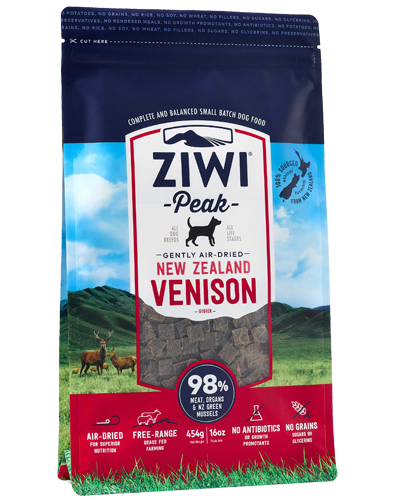 Ziwi Peak Air-Dried Grain Free New Zealand Venison Recipe - 16 oz. 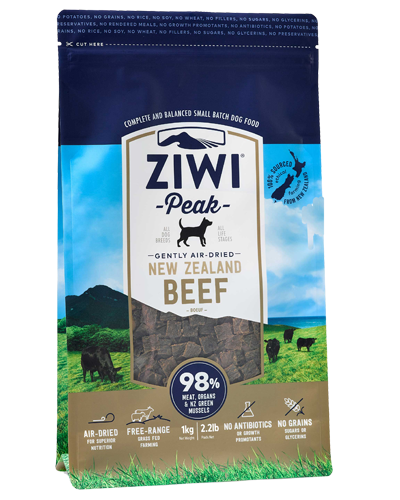 Ziwi Peak Air-Dried Grain Free New Zealand Beef Recipe - 2.2 lb. 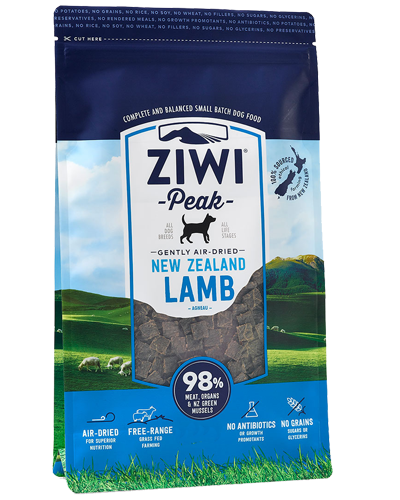 Ziwi Peak Air-Dried Grain Free New Zealand Lamb Recipe - 2.2 lb.